Shingles is caused by a virus called Herpes zoster virus (HZV), which also causes chicken pox. Herpes viruses inflict widespread suffering around the world. Nearly everyone will be affected by some type of herpes virus at some time in his or her life. Depending on the individual, some infections will be minimal and some will be drastic, even fatal. And depending on the particular type of herpes virus, the resulting disorder could be oral sores, genital sores, chickenpox, shingles, Kaposi’s sarcoma, and Epstein-Barr syndrome, to name only the most commonly known afflictions caused by this family of viruses. Herpes viruses can occur without symptoms in nerve ganglia, which are at the bases of nerve cells near the spine or throughout the face. In these locations the viruses are latent and out of reach to the immune system. They remain at this stage until something triggers them to move up the nerve fibers, enter healthy skin cells, and cause sores. Typically, a familiar pain or itching precedes the formation of sores, signifying an oncoming outbreak that will result in the well-known fever blisters. Sores do not always appear, though, especially in shingles infections. Internal blooms of HZV can instead cause unpleasant or even stabbing pains in nerves around the waist or spine. HZV is trickier than most viruses because it is latent for long periods of time and because it can travel from one cell to another without ever leaving the internal environment of the cell. Both of these properties enable this virus to escape notice by our immune system, at least until they burst out of the cells they have just killed and attract the attention of our antibodies. This is why our immune system is helpful in fighting herpes outbreaks but is incapable of entirely eliminating herpes viruses from our bodies. The most common direct treatment for herpes since early 1980s has been the prescription drug Zovirax. Until recently, when you visited most doctors for a problem with herpes, what you got was usually Zovirax and little else. This is somewhat obsolete, because replacements for Zovirax are currently being promoted heavily by the same company that manufactures it (called Glaxo Wellcome at that time). Indeed, the company has taken unprecedented steps in promoting the main replacement, called Valtrex, by advertising on television for viewers to call a toll-free number to qualify for free-trial samples, by taking out full page ads in numerous magazines (also including the free-trial offer), and by arranging for the inclusion of glossy insert ads for college newspapers around the country. In reality, Valtrex is just a modified form of Zovirax that received a new patent when the Zovirax patent ran out. These drugs are very similar to some of the components of DNA, which is what our genes and the genes of herpes viruses are made of. Because they are similar to, but not identical with such components, they cause normal DNA to become abnormal. The intention is to stop viruses from making new DNA. The side effect is that it also stops our own cells from making DNA. This is how antiviral drugs suppress our immune system, since the demand for new DNA in the rapidly dividing immune-generating cells of our intestinal lining and bone marrow is constant. The shingles vaccine, Zostavax by Merck, has been licensed in the U.S. since May, 2006. Research leading up to its approval showed it to prevent about half of cases of shingles in adults 60 and older. Experiments did not address younger people, even though the incidence of shingles is reaching into earlier age groups more and more. Zostavax is not approved for people younger than 60, and it is not recommended for those with immune systems weakened by disease or drug treatment, women who are pregnant (after 60? ), people who have active untreated tuberculosis, or anyone who has a life-threatening allergic reaction to gelatin or the antiobiotic neomycin. Most people, and many doctors, don’t know enough about shingles to decide whether the vaccine might be helpful. Insurance companies are dragging their feet on covering the expense (typically $300). The best of the best, in my experience, is an herbal preparation that I did the original research on in my laboratory, starting in 1995. The direction for this research was based on a study published that year that showed how certain ingredients extracted from the creosote bush (Larrea tridentata) could inhibit the replication of HIV. This species is a widespread shrub in the three main deserts of the southwestern U.S. and adjacent Mexico. One of my former graduate students, Dr. Robert Sinnott, and I developed a product line for herpes and got a series of U.S. patents on it. A company headquartered in Houston, TX, now licenses the patents and manufactures the product line under the name of LarreaRx. I have seen the many Valtrex commercials on both TV and print magazines. I think that Herpes is one of the most common diseases – along with HPV – and nobody seems to want to acknowledge it. I guess it has something to do with the fact that most people who have Herpes do not want to admit it in conversation. Thus, the Herpes disease is one of the most common and the most Tabboo. Isn’t it too bad, Danial, that public discussion stops where taboo begins? We could make so much more progress if we could just talk about these kinds of things rationally. I have heard that shingles is a very painful thing and it feels like you are burning up, is that true? I have never had them but my mother has, from what I gather here it is not something that is hereditary right it is more of something you catch? Thank you for posting this I hope you will take the time to comment or respond to my questions. Yes, it is true Mark. When I had my bout I couldn’t even lay on that side of my body. I was thankful that the typical outbreak, like mine, only impacted one side of my body and not both at the same time. Not everyone is so lucky (if that word can be applied to a shingles outbreak in the first place!). It is humorous that you titled this the unnecessary part of life, because I can’t think of anything that is more unnecessary as the shingles except maybe the mumps and measles etc. what is the point of those as well. Great blog post full of great information please keep up the good work I have enjoyed this article and I have learned a lot. Thanks, Richard. It is always great to see humor, even with unpleasant problems such as shingles. Laughter is the best medicine! 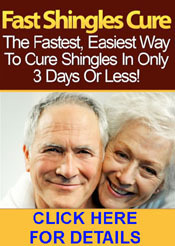 I have never had shingles before but I have to agree what is the purpose of shingles in the first place. You have done a great job with your article here and I hope that people have learned something about to prevent shingles and how to treat them if they get them because they learned what causes them. Great job keep up the good work. Thanks for you kind words, Carole. I had no idea that shingles was an actual virus, I thought it was like an allergic reaction to something like Penicillin or something like that. This was a very interesting article and you have a lot of helpful information on the subject. Thank you for the work you have done and the obvious research that you put into the subject, great job keep up the good work. Hi, Billie…Viruses lurk behind a lot of disorders like this one, more than most people realize. I agree with Daniel on the fact that taboo topics so stop the progress of science but I don’t think that herpes is as taboo as you think anymore because there are so many types of herpes that have nothing to do with being sexual transmitted and I think the sexually transmitted ones are the taboo ones. Great article I hope you will post again. Hi, Pat…Herpes has such a social stigma that many people don’t even want to acknowledge that cold sores are cause by one of the herpes viruses. Ah, human nature is fascinating! Thank you for explaining what these are but what do they look like, how can you tell if you have them or if something else is wrong. I guess if you go to the doctor that would tell you but what if you don’t need to go to the doctor because it is just a rash. I don’t like doctors so I don’t go unless it’s life threatening and this doesn’t sound like it is. Hi, Stephanie: If you get a rash on your trunk, especially it it is on just one side, that hurts before the outbreak, it is almost certain that it is shingles. Variations on this pattern are possible, although not so common. Let me get this straight. This is not the virus that causes genital herpes, a sexually transmitted disease. I have also read that VZV is responsible for an ailment familiar to nine out of 10 Americans over the age of 40: chickenpox. The itchy scabs of childhood chickenpox eventually disappear, but the virus doesn’t. It goes undercover, lurking in nerve roots, waiting to reactivate whenever stress, injury, certain medicines or aging weaken the immune system. Right on, Mabel. In fact, there are at least 9 known human herpes viruses. The genital herpes virus (herpes simplex type 2) is just one of them. The effects of this virus is downright ugly. I understand that the pain you feel during a shingles outbreak should be brief, but it may be intense. Depending on the level of pain and your medical history, your doctor may prescribe something with codeine, or a medication that will manage long term pain such as an antidepressant or an anticonvulsant. I’m lucky that I was born immune to chicken pox. You are right for the most part, Dolores. The pain can last long after the outbreak ceases, though. It can last up to 2 years! One of the more peculiar complications related to shingles is chickenpox during pregnancy. Generally, if a woman develops chickenpox within 30 weeks of pregnancy, which is very rare, there is a chance that the baby may be born with a birth defect. But medical experts differ in their opinions about how great the risk is. However, the medical experts say that developing shingles during pregnancy is even less likely to harm the unborn child. Hi, Lawrence: Yes, these viruses can be seemingly illogical regarding their health outcomes. It is amazing that children ever escape childhood without getting chickenpox. Then we hear about Barbara Walters coming down with an infection (or in my area, Kevin Johnson of the Phoenix Suns) and realize that some people reach adulthood without ever having it. I had these once and they were horrible unfortunately the doctors could tell me what caused or anything but your article has helped a great deal in the mystery. You have done a great job with this article and I love the fact that you added so much information. Great job on the research that it took to get this job done I appreciate it. Thanks, Bobby. Even though I have been researching and writing about herpes viruses for many years, even my own case of the shingles came as a surprise. It took me a couple of days to even recognize what was happening. Then it was obvious — hindsight is enlightening. The shingles virus is a clever little thing, as it always manages to come back to exactly the same place, again and again. I’ve even given it a name. I’ll say: ‘Oh Shya’s back again’. My friend’s doctor diagnosed her with shingles, gave her painkillers and sent her away. Six weeks later, the rash reappeared. But this time it was at the top of her left thigh, and it was more like blisters. It sure is nasty and tricky stuff. Painkillers are just a coverup that don’t do anything about the virus itself. That is where boosting the immune system comes in handy. This was a very interesting read and I am sure to use this subject in my thesis this semester. I enrolled in nursing school last semester and things are going well but this will make an interesting topic of discussion in the class room when I read it. I want to observe the different behavior when the subject of herpes is broached. Good attitude, Frances. You will be able to help many other people with such an open approach. Good luck in nursing school! I heard someone say that early diagnosis of shingles is critical, because antiviral medications work best when they’re started within the first three days after a shingles rash develops. Steroid medications can help relieve your shingles pain and reduce your risk of developing postherpetic neuralgia. The other thing you can do is apply cool compresses to your rash can help ease itching and shingles pain. Early diagnosis is always helpful, no matter the problem. A shingles outbreak is generally unstoppable, although you can shorten it and lessen its impact with the right approach. I encourage the use of cool compresses and herbs such as Larrea tridentata (LarreaRx). As children most of us had measles, chickenpox, and mumps and we had vaccinations for a number of other health risks. We assumed that our immunity was sufficient for a lifetime. That’s not necessarily true. We were also unaware of the seed for future problems when the varicella-zoster virus was planted in our nerve roots by our childhood chickenpox experience. It lies dormant in our nerve roots and held there by a strong immune system. I guess there is some reason for the shingles, how else would you know if you had the virus if you didn’t get the shingles so that you could get treatment. What would happen to you if you had this virus and you didn’t know it? How would it affect your body then and how long could you possibly have it without treatment? Is it contagious? The virus that causes shingles sounds like it produces some nasty and cruel side effect. It is bad enough that those same people had to endure chicken pox when they were young. Then, your curse comes back to haunt you as you suffer painful outbreaks you can’t always hide. What a nightmare. I feel grateful that I never was susceptible to chicken pox. Clearly, from the way this and other articles describe it, the disease shingles can be an incredibly painful condition, yet few people other than those who suffer from it understand shingles. I try to avoid pharmaceutical drugs as much as I can, but they say if you have shingles, you should embrace antiviral drugs. Apparently, drugs can be a lifesaver. If you catch it soon enough, shingles remedies can shorten the time of outbreak. Although we sometimes like to think that non-fatal illnesses can be so thoroughly cured that they never recur, what blogs like this have taught me is that it is simply not true in the case of shingles. Shingles can appear on any area of the body, although they are common around the buttocks and trunk. But I think that if you’ve had the chickenpox, you can easily confuse it for an acne breakout. I got to tell you, I have seen some very gross photos of shingles. I did not realize this condition can look so horrific. It must feel even worse than the hit on your ego it gives you. If you have developed Shingles you may find that this can cause all types of discomfort. This condition can last few weeks; some people even have lasting symptoms long afterwards. I was stunned when I heard the statistics which indicate that every year in the United States, more than 1 million people are newly diagnosed with shingles. This condition that is typically marked by a blistering rash, haunts you with other symptoms first. Pain being one of the earliest signs of shingles and the fact that you may feel it even before the rash appears is simply horrific. I think older age is a risk factor for increasing severity of illness. Recently, my uncle who is a doctor, evaluated a patient with facial involvement. This was a relatively severe case that caused severe pain. The affected patient was a 63-year-old female. In conversations during holiday gatherings with the family, he has told us that definitely seen the illness more often in women than men. I have read that olive leaf oil can help prevent out brakes of herpes ? As well as oregano oil … is there any truth to this claim ? Those claims are fine, just not as strong as other herbs. Larrea tridentata comes to mind. Dr Clark … do you have larrealRX …in stock. I heard that it was no longer available ?? Hi, Mary…Yes, the manufacturer has made the product available once again. Thanks!